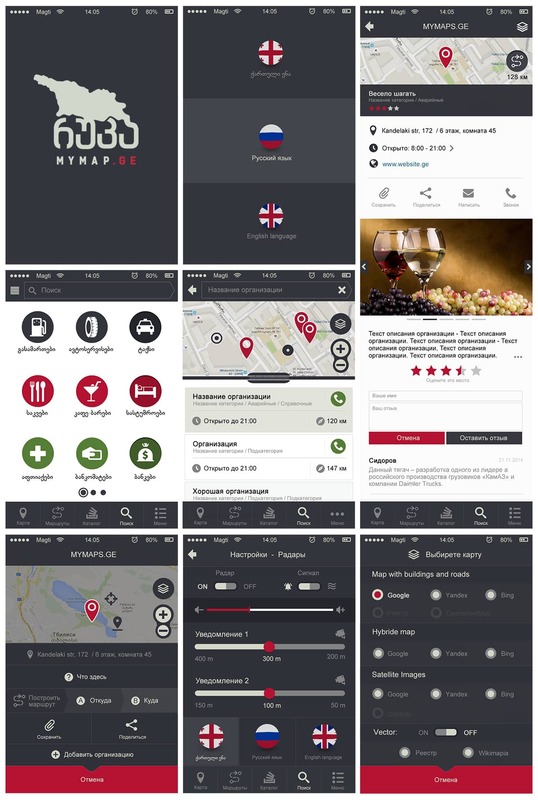 MyMap.Ge APP was designed for a Georgian publisher — entirely, starting with the logo. 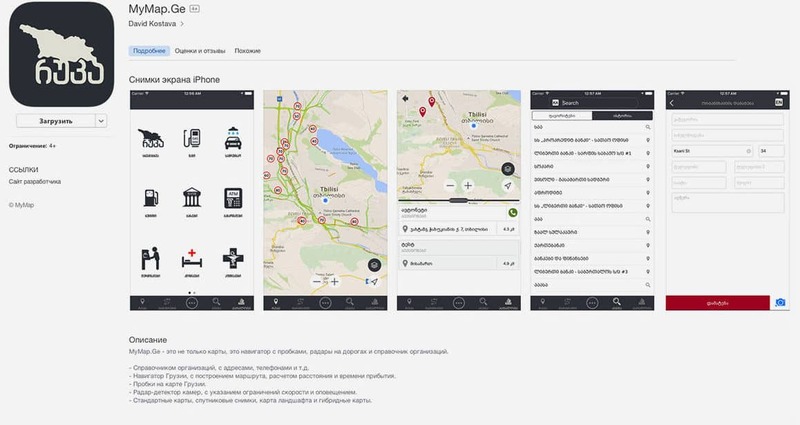 Мумap.Ge is a directory of organisations, a navigator with traffic and radar detector. 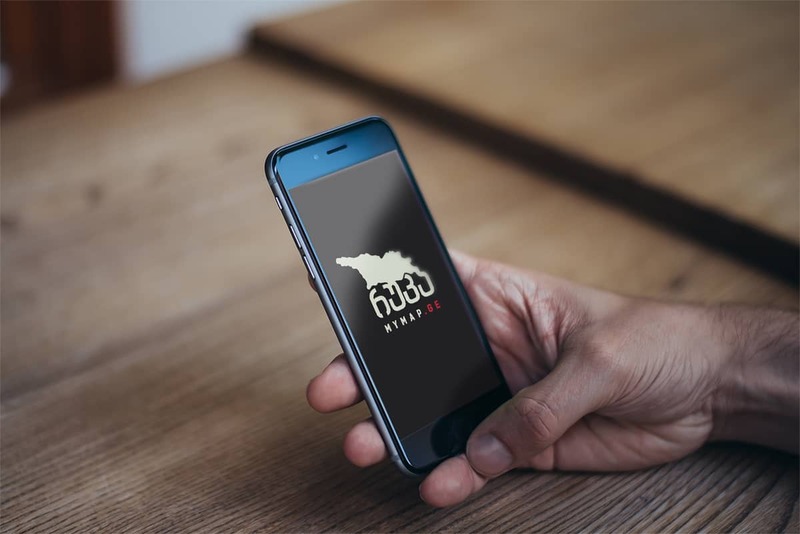 Standard maps, satellite images, terrain and hybrid maps combined with company directory with addresses, phone numbers, etc. Navigator with the construction of the route, distance calculation and arrival time; traffic Jam in Tbilisi and Radar Detector indicating speed limits and warning.